The CHIRI Flow Cytometry facility houses one cell sorter, three analysis platforms and two data analysis computers within its PC2 facilities. Learn more about CHIRI’s Flow Cytometry shared resource facility below. Cell sorting and appointments with CHIRI Flow Cytometry facility staff are available 8AM-6PM Monday to Friday (excluding Curtin-observed public holidays). Trained users can access the analysis platforms 24/7. All data generated using the shared equipment should acknowledge the CHIRI Flow Cytometry facility, and where any member of the CHIRI Flow Cytometry facility has made substantial intellectual contributions to the design of your experiment, they should qualify among the authorship list. The BD FACSJazz is equipped with a blue [488nm] and red [635nm] laser and can detect up to six fluorescent colours. It has a fixed 100µm nozzle and, depending on cell type and sample preparation, can sort through 30 million cells per hour. 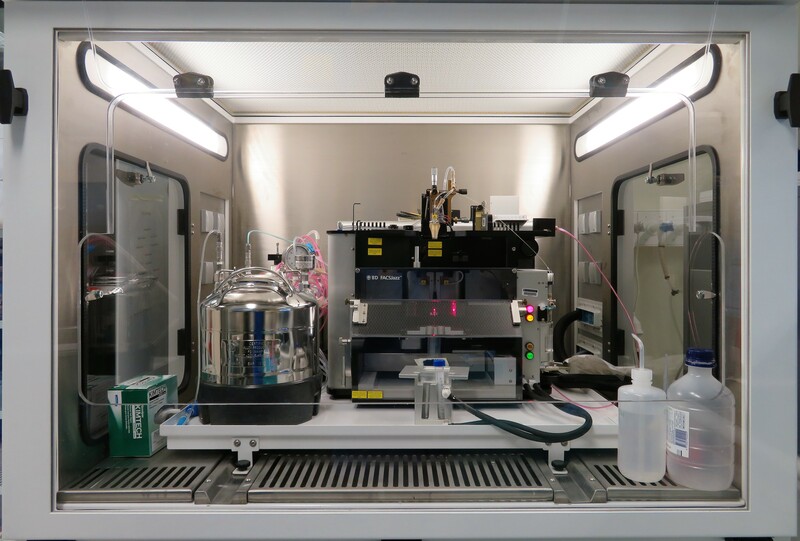 The BD FACSJazz is capable of sorting up to two populations simultaneously into the following collection vessels; single-way sorting into 50ml tubes and cell culture plates (6-, 12-, 24-, 48-, 96- and 384-wells) and two-way sorting into 10-15ml and 5ml tubes. 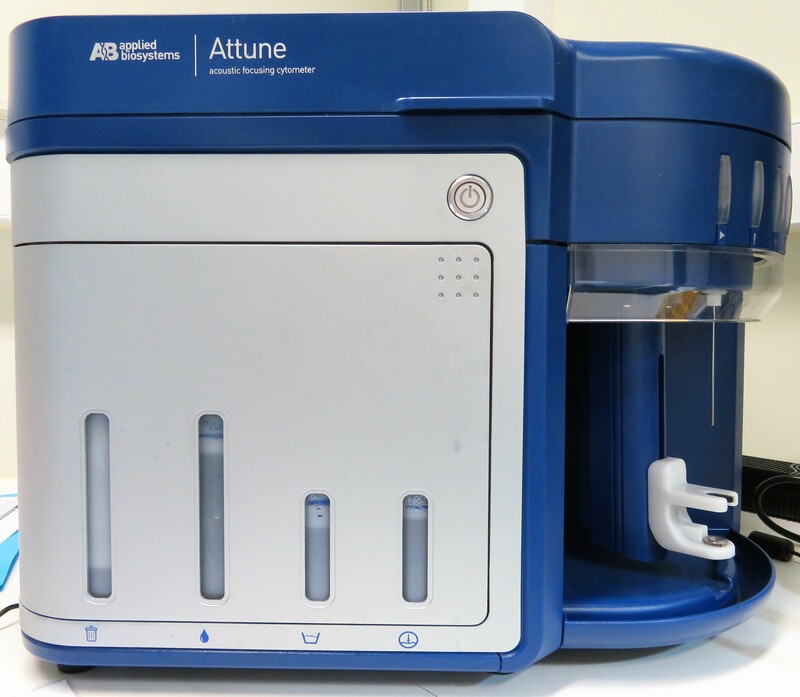 The Attune Classic is equipped with two lasers (Blue 488nm / Red 630 nm) and can detect up to six fluorescent channels. Acoustic focusing technology enable high volume, low coincidence single event analysis, of a wide range of particle sizes. The BD Canto-II has three lasers (Blue 488nm / Red 633nm / Violet 405nm) and detects up to eight fluorescent channels simultaneously. 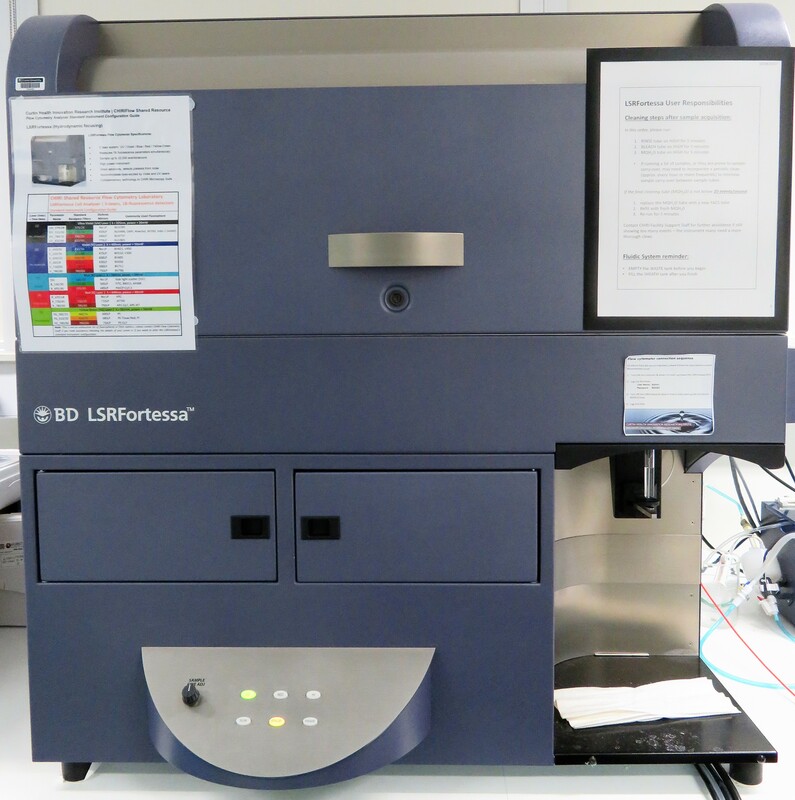 The BD LSRFortessa (Special Order Research Product) is equipped with five excitation lasers (Blue 488nm / Red 640nm / Violet 405nm / UV 355nm / Yellow-Green 561nm) and detects up to 18 fluorescent channels simultaneously. Users are responsible for their own data safekeeping and record keeping. There are automated methods for storing data in multiple locations at the time of sample acquisition and will be covered in the instrument training procedures below. The analysis computers host multiple software packages, not just for flow cytometry data analysis. For a full list of software available, please see Data Analysis Suite. All users must attend a General Flow Cytometry Induction. Supervisors (or anyone involved in the interpretation of flow cytometry data generated at CHIRI Flow Cytometry Facility) must also attend a General Flow Cytometry Induction. General flow cytometry inductions take approximately three hours and involved two components: theory and practical. Theory | The theory component covers basic principles of the flow cytometer; including fluidics, optics, electronics and how flow cytometry data is generated. Theory also covers the capabilities and specifications of the flow cytometry analysis and sorting instruments available at CHIRI Flow Cytometry Facility, and an overview of the online booking systems. Practical | The practical component is laboratory based, and includes correct start-up, cleaning, shut-down, general troubleshooting and data management standard operating procedures. Hands-on instrument training with fluorescent beads is provided to highlight common flow cytometry principles. Additional training on shared equipment is always encouraged. 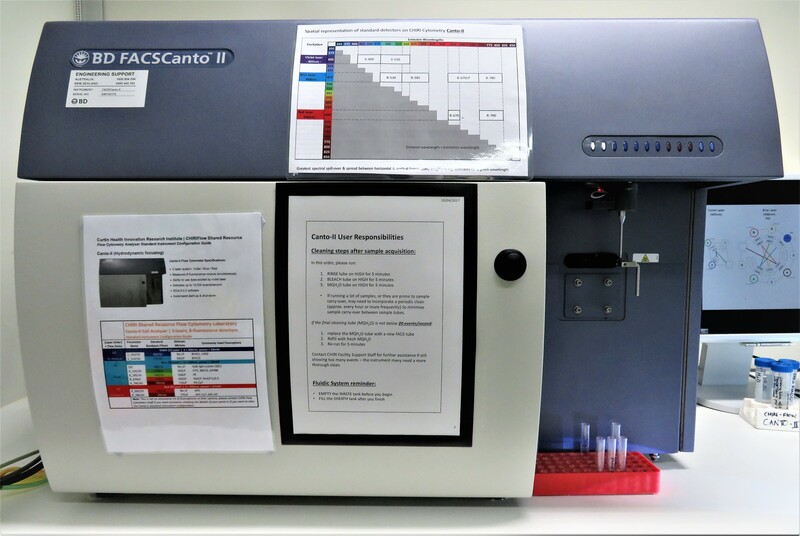 Refresher training | If it has been more than six months since you have utilised the flow cytometry platforms or would like to use several flow cytometry platforms, we encourage you to get a refresher training (it takes approximately 30 minutes). Please contact CHIRI Flow Cytometry Facility staff (see ‘Contact us and feedback’ section below). 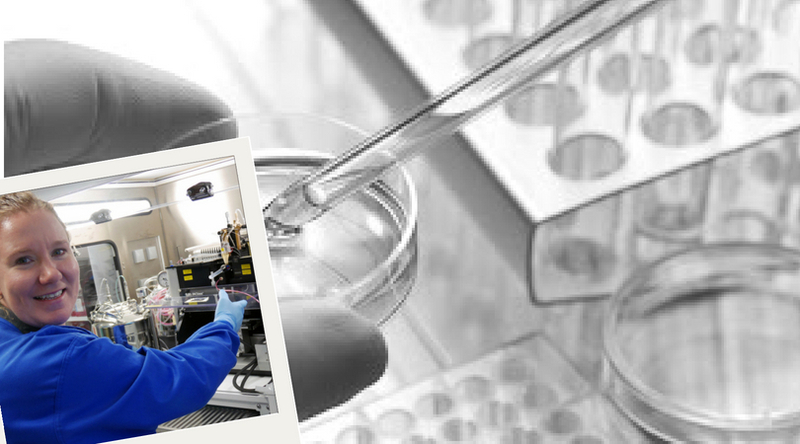 Additional training | At times additional training and information is necessary, if so please utilise the experienced CHIRI Flow Cytometry Facility staff. However, if the request requires in-depth intellectual input into optimising your flow cytometry application, please refer to our ‘Attribution and authorship’ section above. For cell sorting bookings and flow cytometry appointments, please contact CHIRI Flow Cytometry Facility staff (see ‘Contact us and feedback’ section below). Access to platform specific online booking calendars is reserved for licensed users only. If you have not received access to the flow cytometry analysers and/or the analysis computers after attending training, please contact CHIRI Flow Cytometry Facility staff (see ‘Contact us and feedback’ section below).